« Do You Know What a Bergamot Is???? I use Cinnamon in my diet every day! Sprinkle it here.. sprinkle it there…OR use the essential oil!! The use of cinnamon is recorded in Ebers Papyrus, one of history’s oldest Egyptian medical texts; this document, which dates back to about 1500 BC, contains more than 700 remedies for multiple symptoms. Cinnamon is only harvested every two years, and then steam distilled, to create the highest quality oil possible. Cinnamon essential oil is known for its variety of uses and applications. The scent of Cinnamon oil stirs the appetite, arouses and warms the senses, and can create feelings of comfort. Other benefits include helping maintain healthy blood sugar levels and promoting normal immune system function. Mentally, Cinnamon oil helps release frustration and anger and attracts wealth by transforming our beliefs about limitations and shortcomings into prosperity and abundance. * Diffuse Cinnamon, Clove, Eucalyptus Radiata, Lemon, and Rosemary oils in an Améo diffuser to help purify the air! * Add 1 drop of Cinnamon oil to certain dishes when cooking to enhance flavor! * Add 1-2 drops Cinnamon oil to a warm bath to awaken the senses and increase energy levels! * Dilute to 20% Cinnamon oil and 80% Améo Fractionated Coconut Oil and rub over the heart, into the soles of the feet, or around the neck to increase your body temperature! 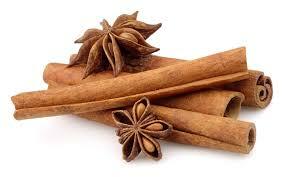 * Add 1 drop of Cinnamon oil to Daily Tea, Premium Tea, or ice water to freshen breath and cleanse the digestive track! * Mix Cinnamon, Orange, Clove , and Tangerine oils in an Améo diffuser to create a wintery holiday scent! I used to add regular powdered cinnamon to my tea…however, you get the grit of the powder. The oil is améozing!! !